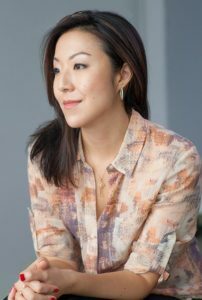 Yoojin Grace Wuertz was born in Seoul, South Korea, and immigrated to the United States at age six. She holds a BA in English from Yale University and an MFA in fiction from New York University. EVERYTHING BELONGS TO US is her debut novel, which was selected as a New York Times Editors’ Choice, longlisted for the Center for Fiction’s First Novel Prize, and included on Kirkus Reviews’ Best Fiction of 2017. Her writing has appeared in Guernica, The Times Literary Supplement, and The Massachusetts Review, among other publications. She lives in northern New Jersey with her husband and son.